When one turns, the other also makes a slightly different but corresponding turn; when one faces the front, the other always faces twoard the side. If you remain unaware of the full scope of the situation, you might even conclude that the fish must be instantaneously communicating with one another, but this is clearly not the case. What else the superhologram contains is an open-ended question. Allowing, for the sake of argument, that the superhologram is the matrix that has given birth to everything in our universe, at the very least it contains every subatomic particle that has been or will be -- every configuration of matter and energy that is possible, from snowflakes to quasars, from blu?whales to gamma rays. It must be seen as a sort of cosmic storehouse of "All That Is." The storage of memory is not the only neurophysiological puzzle that becomes more tractable in light of Pribram's holographic model of the brain. Another is how the brain is able to translate the avalanche of frequencies it receives via the senses (light frequencies, sound frequencies, and so on) into the concrete world of our perceptions. Encoding and decoding frequencies is precisely what a hologram does best. Just as a hologram functions as a sort of lens, a translating device able to convert an apparently meaningless blur of frequencies into a coherent image, Pribram believes the brain also comprises a lens and uses holographic principles to mathematically convert the frequencies it receives through he senses into the inner world of our perceptions. 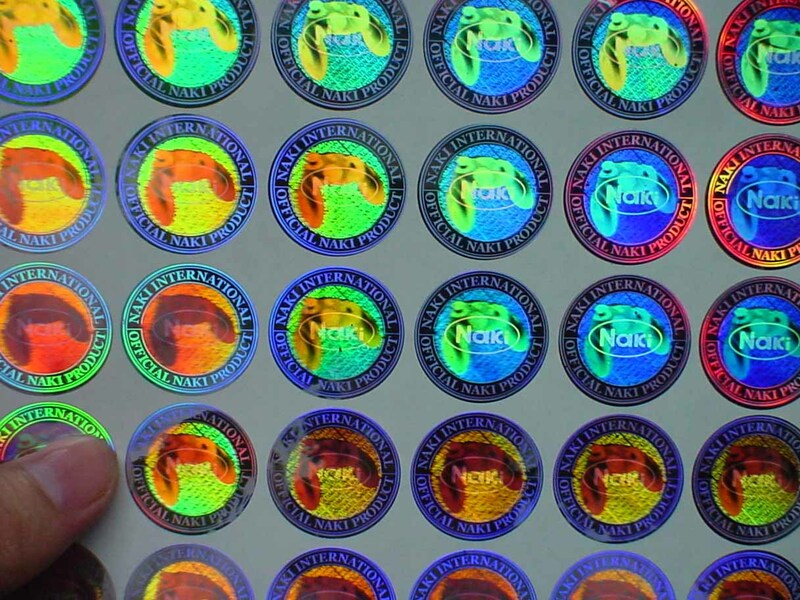 Hologram technology wasinvented by Dr. Dennis Gabor, Imperial College, London. And thus he won the Nobel Prize in Physics in 1971. In Initially, Gabor Dr. just wish to enhance the resolution of the scanning electron microscope. The early 1960s, a University of Michigan researcher Leith and Upatnieks of making the world's first set of three-dimensional holographic image. During this time, the former Soviet Union's Yuri Dennisyuk also began to try the hologram can be produced using ordinary white light viewing. Now, the continued development of the hologram technology provides us a the increasingly precise three-dimensional image. Holography is based on the principle of interference of light, so they requested that the light source must have good coherence know by the previous analysis. Holographic technology. The emergence of the laser light for the hologram of an ideal light source. This is good because the laser coherence, He-Ne laser used in the experiment, with its shooting small diffuse object, get a good spatial coherence and time of the hologram. Since the hologram recorded on the interference fringe, and is a thin, dense, interference fringes, minimal interference will cause the blurring of interference fringes in the photographic process, and even the interference fringes can not be recorded. Example, shooting film displacement of a micron, the stripes on a confusion, the hologram experiment station is shockproof. Table hologram optics magnetic firmly sucked on countertops steel. Further, the airflow through the optical path, the acoustic interference, and temperature changes will cause changes in the density of the surrounding air. Therefore, the exposure should prohibit loud noises, can not move around freely, the entire lab absolute quiet. Our experience is that each group tuned optical path, the students left the bench stable after a minute, and then came to light at the same time, to get a better effect. Object light and reference light should meet. Object light and reference light, an optical path difference should be as small as possible, preferably equal to the optical path of the two beams of light, up to not more than 2cm, adjusting the optical path with twine amount; the angle between the two-speed light at 30 ° ~ 60 °, preferably at about 45 °, because the angle is small, interference fringes on the thin, so that the lower the resolution requirements of the system stability and the photosensitive material; two light beams of the light intensity ratio should be appropriate, generally requires can be between 1:1 to 1:10, the light intensity ratio measured with a silicon photovoltaic cell out.